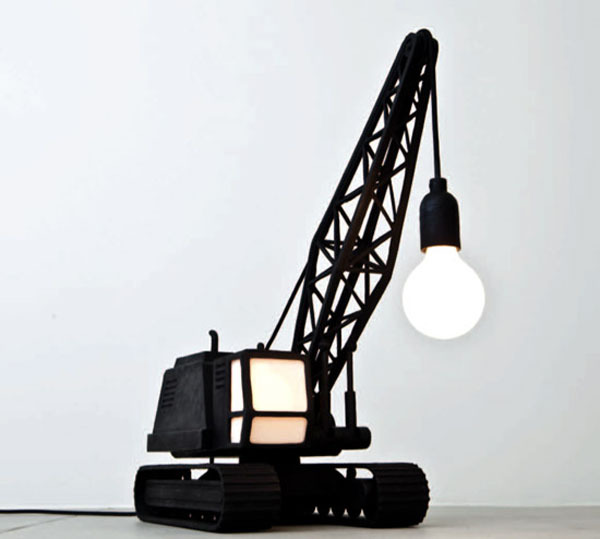 35 Creative and Unusual Lamp/Light Designs – Part 5. 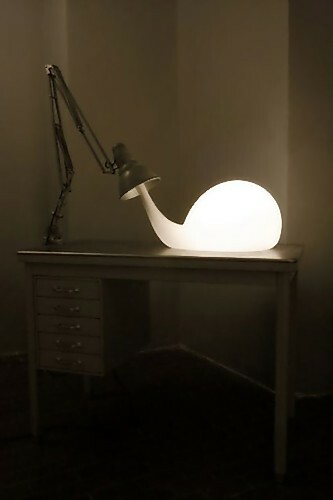 Collection of Creative and Unusual Lamp/Light Designs from all over the world. 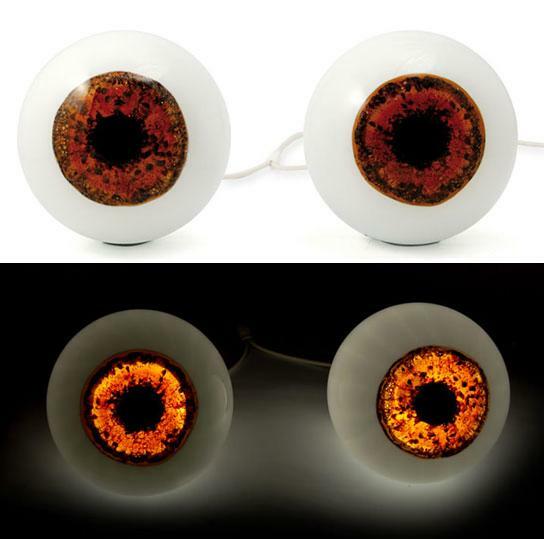 Eyeballs Lamp: The French design group called 5.5 Designers can create a pair of eyeball lamps to match your eyeballs too. 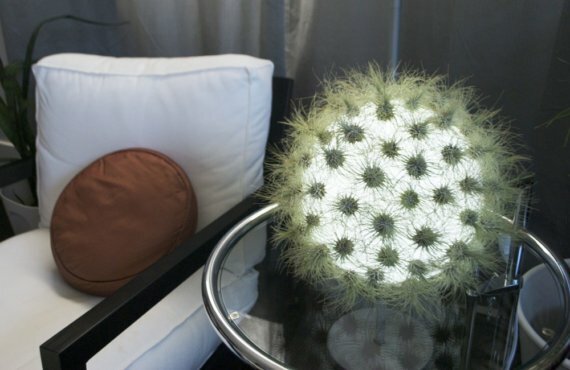 Live Lamp: This lamp has eighty live Fuschii tillandsia air plants on its glass orb. 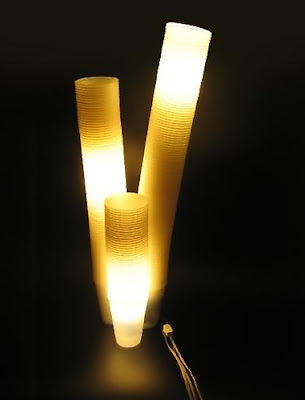 Plastic Cups Lamps: Lamp made out of drinking cups by Castellucci. 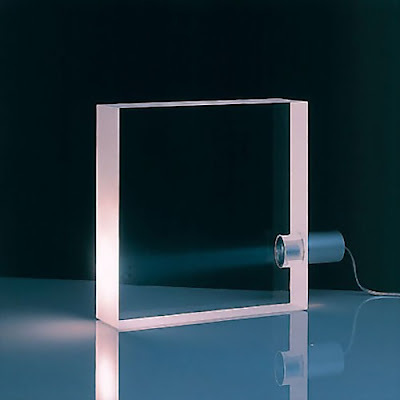 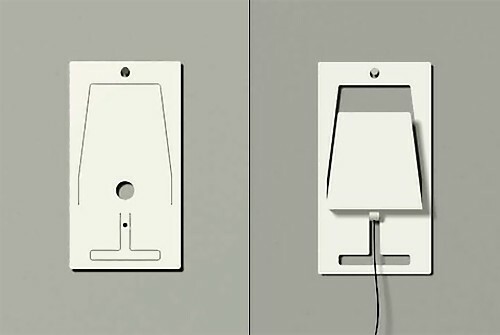 Tofu Lamp: Simple and clean design with an aluminum light source. 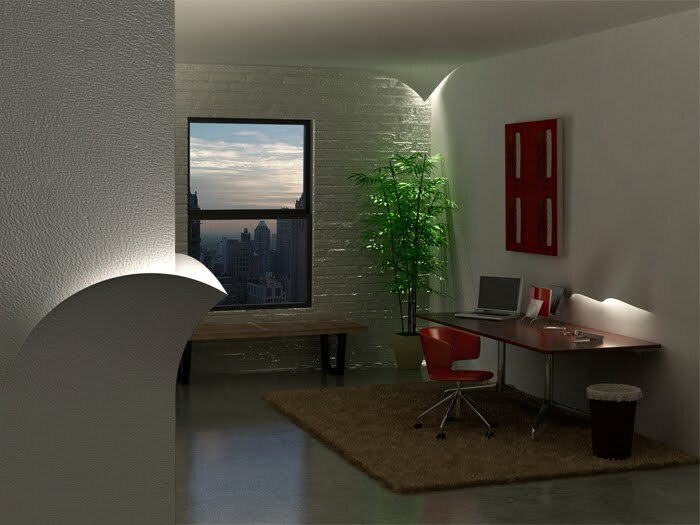 Torn Lights: This concept is the creation of designer Billy May as a discreet way of adding some light to your apartment. 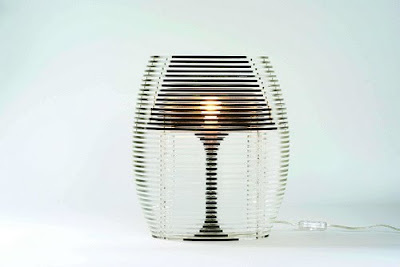 Sliced Lamp: Its created at Studio Mango by designers by cutting up an old fashioned table lamp and divided it into over 40 perspex plates. 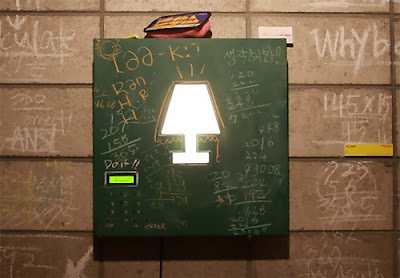 Math Based Lamp: To turn it on, all you need to do is to solve a randomly generated math problem. 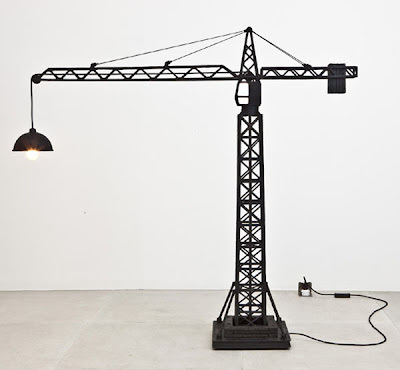 Crane Lamp: The artists at Studio Job created two floor-standing bronze lamps that resembles a crane. 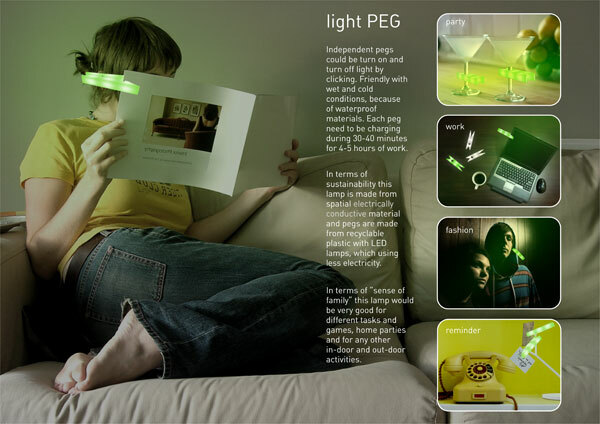 Light Peg: It combine functions of pegs with light. 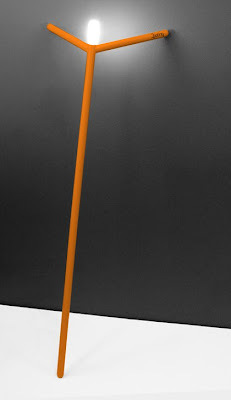 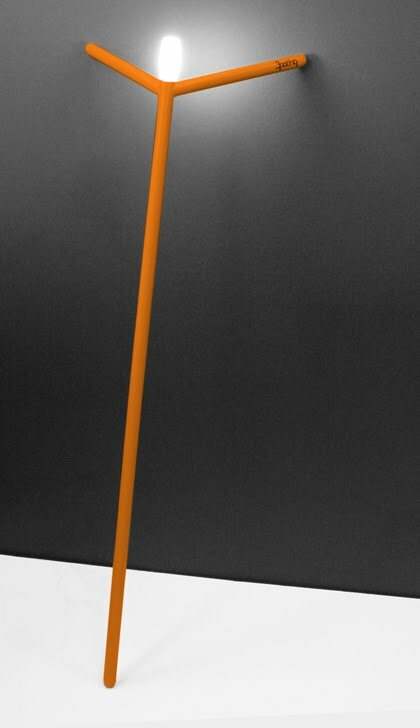 Yo-Yo Lamp: This floor lamp by Elmar Flototto combines both beautiful and smart design. Place the lamp where you need it and simply roll out the exact cord length needed. 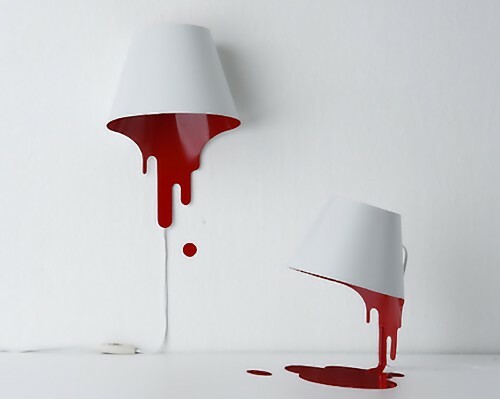 Liquid Lamp: Creation of designer Kouichi Okamoto, it comes with red or white interiors and is available in wall or table versions. 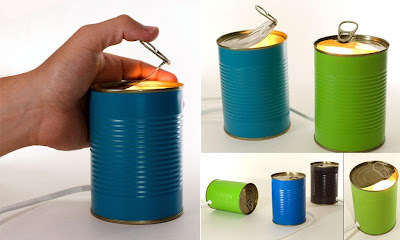 Tin Can Lights: All you need to do is open the lid to get a soft glowing lamp. Wet Lamp: Designed by Scott Franklin, the wet lamp is an elegant and playful series of glass lamps with an alluring water-submerged light bulb at its center. 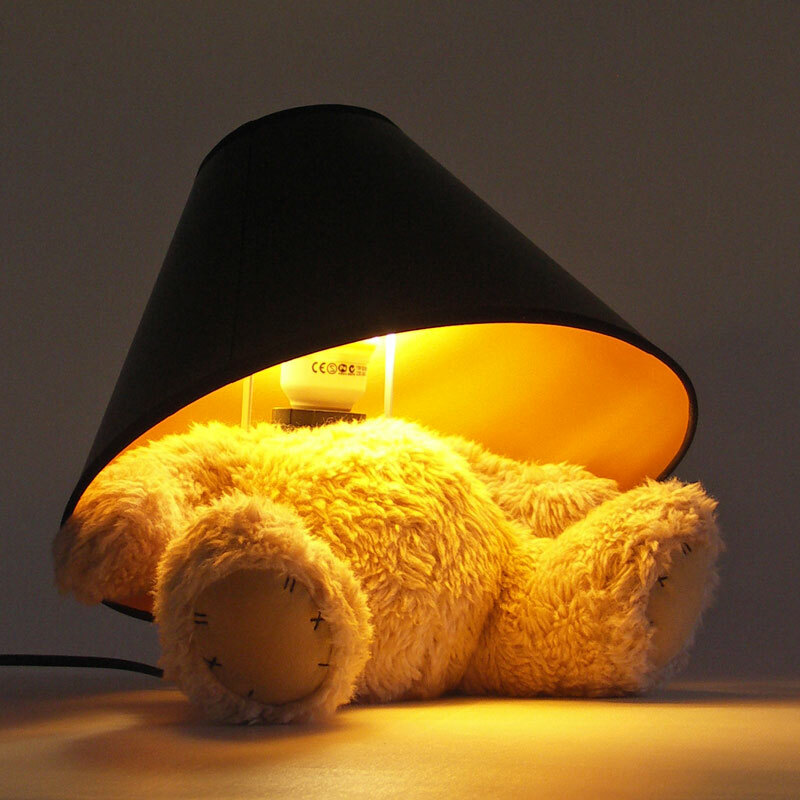 Teddy Bear Lamp: Designed by M Kinealy, it combines a soft plush headless teddy bear with a light bulb and lampshade head. 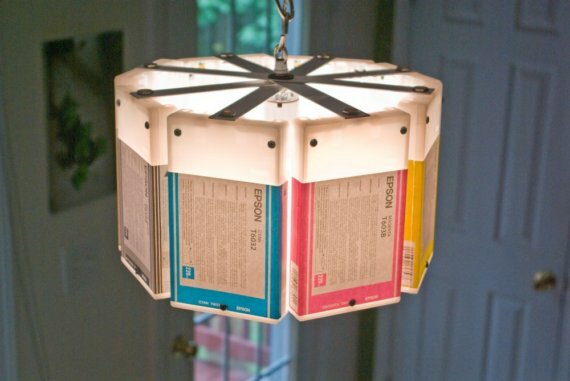 Ink Cartridge Lamps: These lamps are made from cartridges that were disassembled and reassembled again. 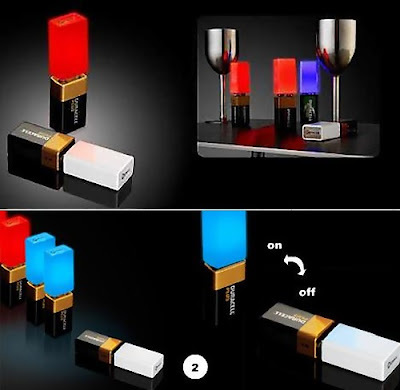 9 Volt Lamp: It gets switched on with a side tilt switch when standing up with blue or red colors. 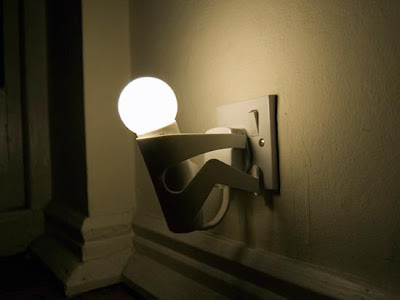 And the lights turns off when it is on its side i.e. 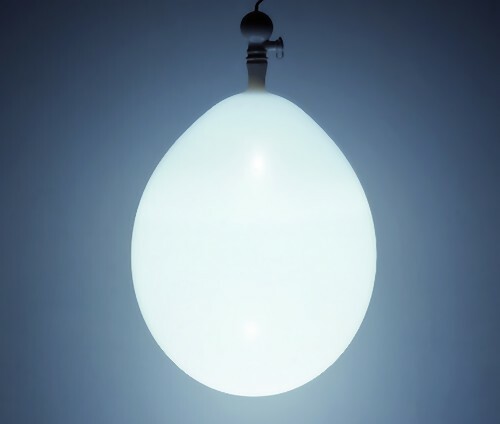 lying down and the color changed to white. 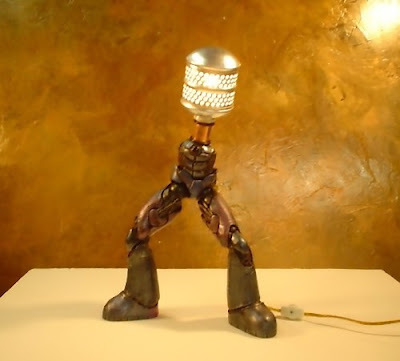 Posable Robot Lamp: This 16" tall lamp is made from broken robot action figure, sprinkler head and lamp kit. Climber Lamp: Designed by UK design studio The Play Coalition, its made from stainless steel; the playful lamp holds on to the plug point. 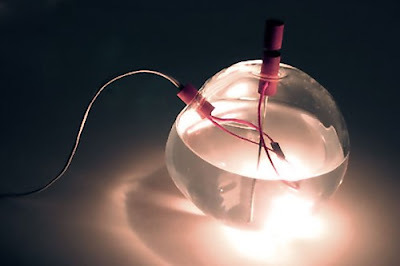 Balloon Lamp: Simple yet brilliant, this lamp is made from a regular balloon. 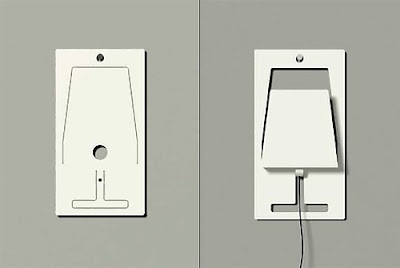 Tall and Tiny Lamp: Tall and Tiny are two vinyl sticker-lamps by Alice Rosignoli. 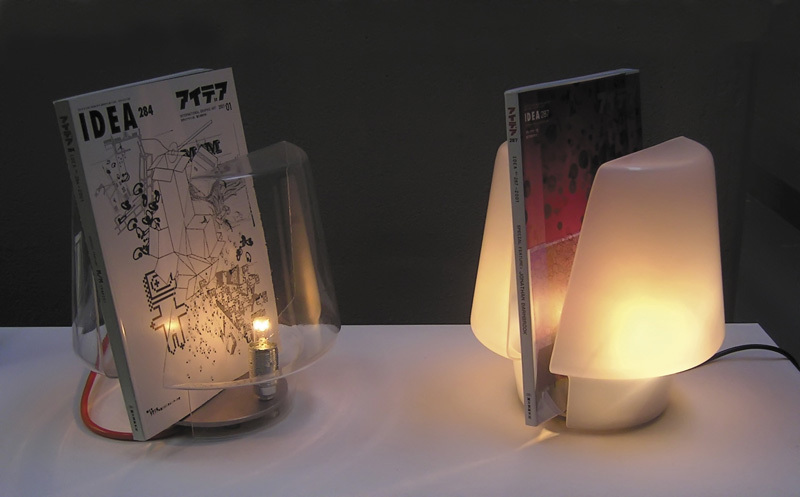 2D Lamp: Foldable lamp made form a single sheet of metal. 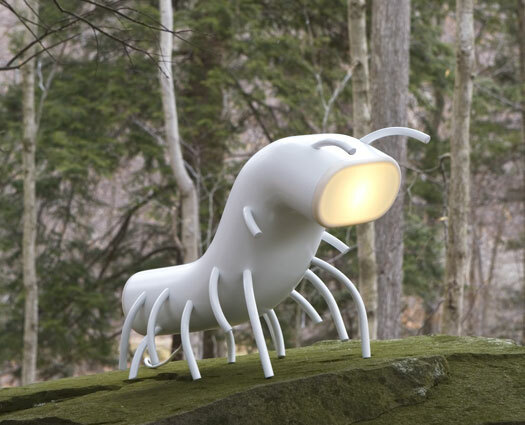 Nymph Lamp: The body is made of a two-part fiberglass, light covers are made of corian, legs are hollow with white powder coat finish. 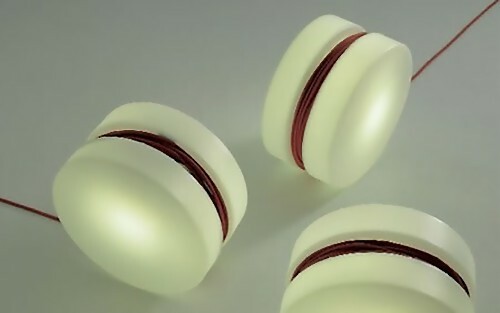 3poeng Lamp: These lamps come without static foot; it can be used as a floor stand lamp that can lean against a wall, in a corner or simply flat on the floor using rubber at the 3 touch points. Reading Lamp: Lamp and journal stand in one. The Light Blubs Lamp: The Light Blubs are a series of crystal lamps, designed by Pieke Bergmans, in cooperation with Royal Crystal Leerdam. 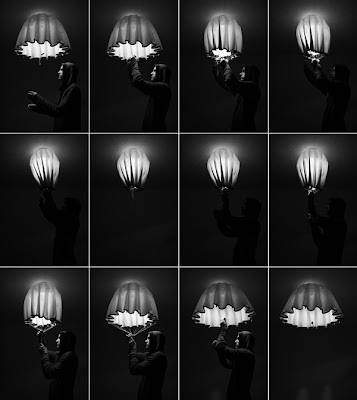 Lamp with possibility of light intensity modulation: The lamp is based on a simple design similar to the working of an umbrella; it can be used as a damping lamp light when closed and gives lot of light when left open. 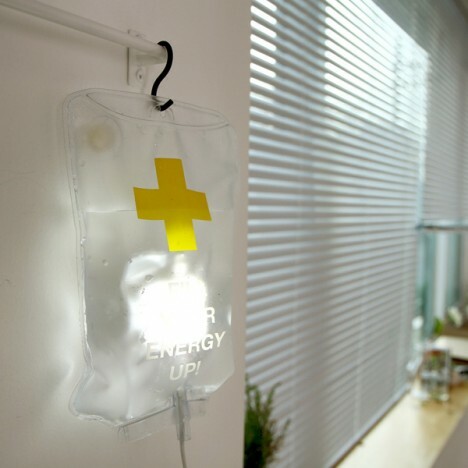 Ring-ge-roo Light: To change the color of the light all you need to do is to change the color of the water inside the bag. Mushroom Lamps: These creative lamps are inspired from mushrooms. 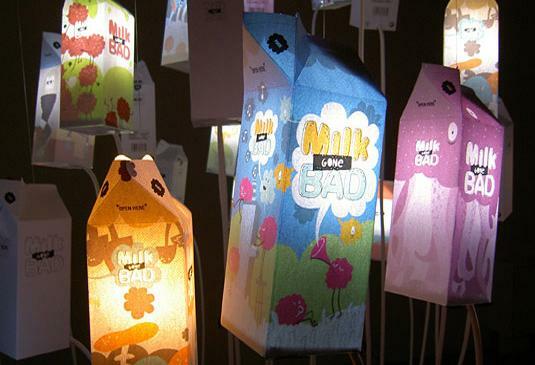 Milk Carton Lamps: It's a collection of 8 different lamps shaped like milk cartons. 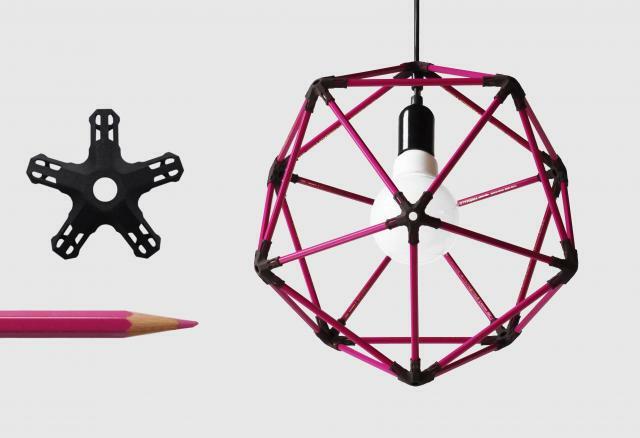 Pencil Icosahedron Lamp: "Using 30 standard-sized pencils, and this kit, you can create an icosahedron-shaped object of about 38 cm or 15 inch in diameter." 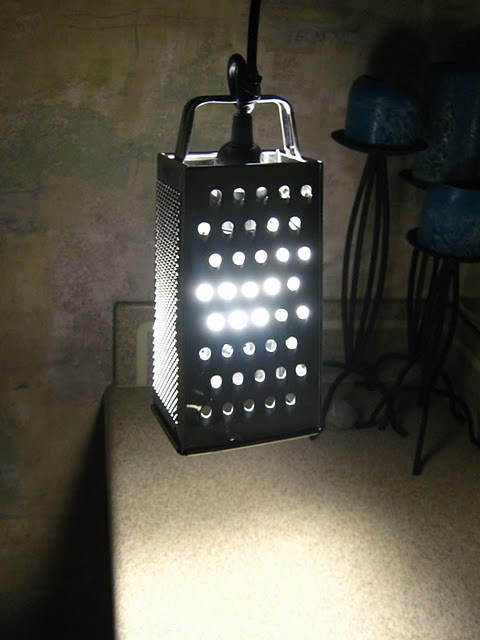 Cheese Grater Lamp: Its looks good and is quite simple to make. 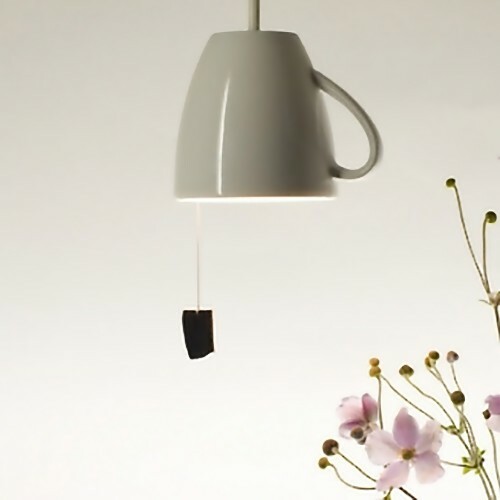 Tealight Lamp: It made from a classic cup with the tea bags functioning as a switch. 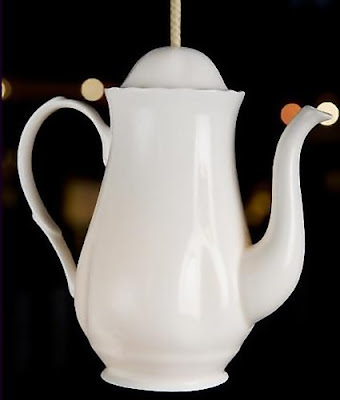 Coffeepot Light: This lamp looks cool! 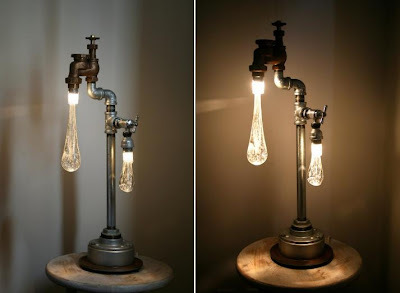 Don't miss to check out "Creative Lamps and Unusual Light Designs - Part: 1| 2| 3| 4| 5| 6."